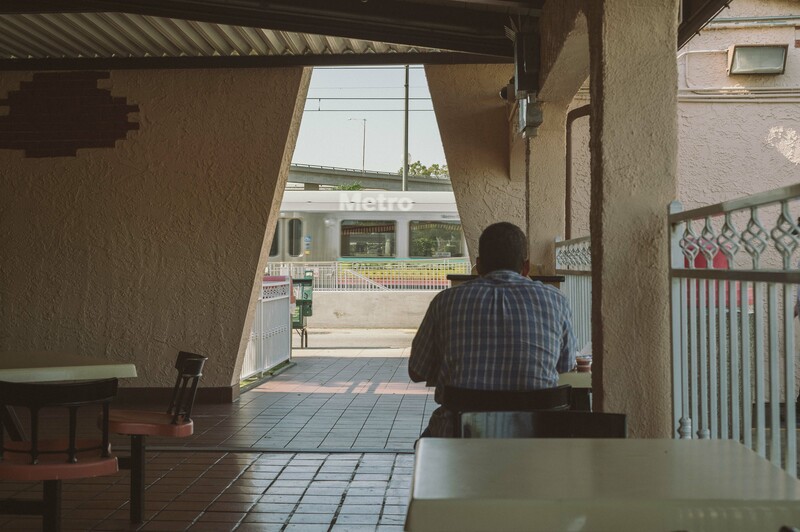 ART OF TRANSIT: I believe someone on our comment board recently suggested renaming a Gold Line station the “King Taco Station.” Almost certainly not going to happen people, but the train is very close to the Maravilla Station. Photo by Steve Hymon/Metro. Before I get into anything else, let me make one thing perfectly clear: I love your trains. I take them several times a week. I can’t remember the last time I drove into Los Angeles from Long Beach. The last two times I flew from LAX, I took the train to the airport (well, almost to the airport). But, I’m starting to think that – how I can put this nicely? – you have no idea what you are doing. David levels complaints about the fare increase that took effect last Monday, the subsequent shutting down of four Blue Line stations in downtown Long Beach for refurbishment work, confusing ticket machine screens and prompts and luggage-blocking turnstiles at Willowbrook Station. Those who follow us on Twitter have certainly seen these complaints echoed by other riders. I’ll certainly send David’s column around. Semi-related: the Register’s future may be in doubt at the same time there are some big questions hovering over other local papers, according to L.A. Weekly. Our unwavering view here: the most newspapers covering Los Angeles and the surrounding area, the better. One of the clearest examples of the disparity comes from Los Angeles County. In 1980, about 7.5 percent of commuters used transit. That year, voters approved a permanent half-cent sales tax increase to pay for transportation initiatives, including lots of transit upgrades, but by 1990, the share of transit commuters had declined to 6.5 percent. That year, voters again approved a half-cent increase by a two-to-one margin, with nearly all the money going to transit. But the transit commute share was still at 7 percent come 2008, when yet another transportation ballot, Measure R, was passed by two-thirds of the vote. So why do so many people support transit—not just with their voices but their wallets—when they have no intention of using it? The conclusion reached by Manville and Cummins largely echoes that of the Onion: people believe transit has collective benefits that don’t require their personal usage. Maybe voters think transit will reduce traffic congestion, or improve the environment, or help low-income residents, or translate into economic development. So long as someone else uses transit right now, everyone else will win in the end. The potential problem with all this is what happens when residents tire of paying for transit they don’t use — perhaps because the perceived benefits failed to materialize? The answer: in some places, city bus riders could suffer as the money that does exist is funneled into suburban rail projects. Pretty interesting stuff. BTW, the most recent one-year estimates from the Census Bureau American Community Survey numbers show that 6.9 percent of commuters in L.A. County commute to work by transit, down from 7.1 percent in the 2008-2012 average of the roundups. With population growth factored in, 6.9 percent today is more total people than seven percent in 1980 but here’s my question: what would it take to bump that number up? Could it ever get to 10 percent here? The Los Angeles metro area’s 2013 median household income ($58,869) decreased since 2010, the first full year after the last recession, when it was $60,409 in 2013 dollars, according to new statistics released today from the U.S. Census Bureau’s American Community Survey, the nation’s most comprehensive data source on American households. Good look at the 438-apartment development in downtown Los Angeles’ Arts District that will also include about 25 retail stores and restaurants and 525 parking spaces for residents — a fair amount of parking, I think, for a downtown development. All in all, I think this is a good development for downtown which should help local businesses prosper. I also suspect it will increase the demand for building a subway platform in the adjacent maintenance yards for the Red and Purple Line — something Metro has discussed in the past. That would allow Arts District residents to take a fairly quick (albeit circuitous) ride to other downtown destinations and beyond. The new underground light rail station being built in Little Tokyo will also help connect residents to trains running to the San Gabriel Valley, East L.A., Santa Monica and Long Beach. Very thoughtful article on talk and preliminary plans for massive $7 billion expansion of Washington D.C.’s central train terminal — which in recent years (like our Union Station here in L.A.) has grown increasingly crowded. With the era of exurban sprawl having run its course, people and jobs are moving back to more densely populated urban areas. That’s happening not just in Washington, but also in Boston, Austin, Seattle, New York, Chicago, San Francisco, Los Angeles and Miami. The only way these cities can accommodate such growth, and realize the economic efficiency that it will generate, is to dramatically improve their public transportation infrastructure and increase the density of land use around key public transportation nodes. I agree. And the best part — as the One Santa Fe development shows — is that there is actually plenty of room in many urban areas for growth. It will be very interesting in the coming years to see what happens with Union Station here, the Transbay Terminal in San Francisco, Penn Station in Gotham and Union Station in our nation’s capitol. With the latest plans to build a new rail line between Southern California and Las Vegas now pretty much dead (the Desert XPress high speed rail between Victorville and Vegas), Rep. Dina Titus (D-Las Vegas) says reviving Amtrak service may be the way to go. Amtrak service between L.A. and Las Vegas and onward to Ogden, Utah, was discontinued in 1997. I have zero interest in taking a train to Las Vegas — the unhappiest place on Earth, IMHO — but I’d take a train to St. George, Utah, if it could get me there in six to seven hours and there was a convenient shuttle bus to Springdale and Zion National Park. As far as I’m concerned this is just further proof that the apes will soon rule. 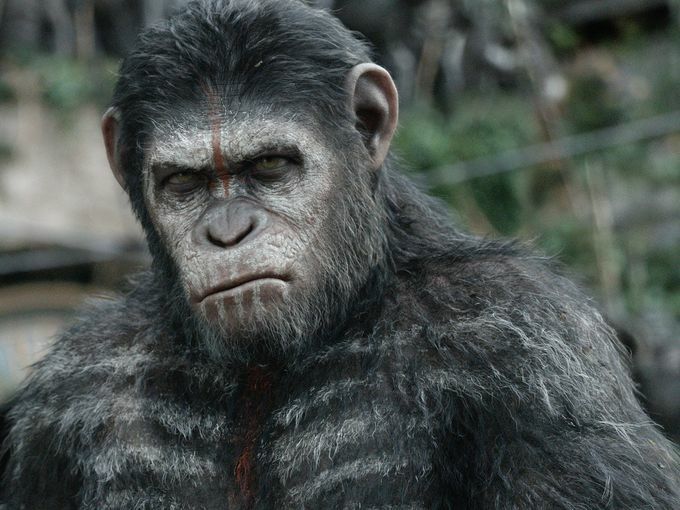 And, yes, I thought “Dawn of the Planet of the Apes” was the best movie I’ve seen thus far this year. My only criticism: it was a little too plausible. Cesar probably has even less patience for humans who walk around while staring into their phones and bumping into things. Photo: 20th Century Fox. Tagged as: American Community Survey, Amtrak, art of transit, Arts District, Better Blue Line, Census Bureau, downtown Los Angeles, fare increases, Gold Line, high speed rail, King Taco, Las Vegas, Long Beach, Los Angeles County, Maravilla Station, One Santa Fe, Purple Line, Red Line, ridership, TAP, Union Station, Washington D.C.
Metro, and all government agencies, have problems keeping up with technology. I agree with the article that the ticket vending machines are too clunky. In a world of touchscreen smartphones, phablets, and tablet devices with brilliant high resolution, non-reflective, auto-shut off battery saving displays, those ticket machines are ancient by today’s standards. Why spend $60,000 for a TVM with keypads and hard too see monitors when a $300 tablet has better quality high-res/non-sunlight reflective screens and touchscreen capability? Give an iPad or Android tablet for the first time to a five year old kid, he/she knows how to use without any explanation. Take a first time Metro rider of any age to a TVM, he/she will be stuck there because of its clunkiness. Maybe you guys needs consultants from Apple and Google to get things done right. Making things simple to use that don’t require any instructions, that a five year old kid can get right at it, is definitely not really your area of expertise. I don’t know if there’s a better solution now, but as I recall the problem with the Desert Wind was that it was very slow – something like 7 hours scheduled, but because of freight conflicts, it often took 8 hours or more. If there was a way to bring that down to, say, 4 hours, and cost less or at least no more than flying, I’d certainly be happy to take a train to Vegas. Otherwise, well, flying is still better. Given the amount of air and road traffic between the LA area and Las Vegas, you’d think a high-speed train would be a good idea. But I realize there are significant obstacles to overcome, even if the funding ever comes through. I can fit most of what I need camping in my big ol’ backpacking backpack. Or I could stay in one of the lovely lodging places in Springdale (look for deals at Desert Pearl, which is awesome). It’s easy to walk, bike or take the shuttle bus into the park from town — the bus runs to the visitor center, then you switch to the bus that runs to Zion Canyon, where private cars are prohibited. All this said, I’m not even sure that St. George ever had much (if any) train service. 4 hours by train from L.A. to Las Vegas? Not a chance without high-speed rail. Google Maps says it’s 270 miles between the two and the mileage by train is more than that because of the circuitous route. But even at 270 miles, you would need to average 67 mph to get there by driving. A 4-hour train trip isn’t going to happen without some sort of high-speed rail because of station stops and the slow-down going up and down the Cajon Pass, plus the slower speeds into and out of L.A. and L.V and antiquated technology. Towards the end of its career, the Desert Wind had less than daily frequency, starting with a 3-3 split with the Pioneer in 1995 (3 days to L.A., 3 days to Seattle, daily to S.F.) and then a 3-3-4 split with the Pioneer and California Zephyr in 1996 (3 days to L.A., 3 days to Seattle, 4 days to S.F.). Canceling the Desert Wind and the Pioneer meant restoring the California Zephyr to daily service. I support mass transit, but I don’t ride it. When Metro has an efficient mass transit system like Tokyo, Seoul, Taipei, Hong Kong and Singapore where I don’t need a car to get around at all (and I mean it, not this “drive to the train station” we have today), buses and trains arrive in less than 3 minutes, the system is safe and clean, and fares are stable and simplified to tap-in/tap-out distance based fare system, then I’ll start riding them. Metro does not offer a transit system like that. It’s like people who work for Metro have no idea how transit is supposed to work. You should consider sending some of your employees abroad so they can learn what real transit oriented cities do. It’s pitiful that the taxpaying public knows a lot more about how transit works elsewhere than Metro employees. Steve, have you considered writing to your superiors and bosses to see if they can approve a fact-finding travel mission for you and The Source writers? You and your fellow writers will gain a lot more eye-openers if you just see and experience yourself how transit is done in real transit oriented cities abroad. I suggest Hong Kong, Taipei and Singapore. I believe Anna Chen can show you around. I’m sure there are Japanese-Americans and Korean-American employees at Metro who’d be glad to show you transit in Tokyo, Osaka, and Seoul. Even better, I suggest visiting LA’s sister cities like Nagoya and Busan as well. Metro did send me to the OC a couple of times to cover the Mobility 21 conference. Not sure they’re too eager (rightfully) to spend taxpayer money to send me overseas to discover that the cities you mention have: 1) great transit systems, and; 2) are very dense with (I’m guessing) lower car ownership rates. That said, I do think that the system being built here is headed in the right direction. Obviously, fares just went up but I don’t think they are unreasonable nor have changed that drastically or that often over the years. I think the system is largely clean, although I’m not going to pretend it’s 100 percent clean at any given time. I think public concerns about safety will always have to be addressed to get good ridership. You don’t mention it, but I do think the system can be faster — i.e. bus lanes, signal priority, etc., so that we’re faster than congested vehicle traffic. I think the decisions that will will dictate the system’s long-term success will mostly come in the realm of development — where will the future offices, homes and apartments be built? If we can keep those new developments near transit and make them into nice neighborhoods, I think that will go a long way to making it easier to take transit around. My three cents. That said, your points are well taken and I really appreciate you taking the time to offer your feedback. This stuff is important! As a taxpayer, I would actually SUPPORT LA Metro employees and The Source writers to go visit other transit oriented cities around the world and report back to the Metro Board on what other successful transit oriented cities do in operations, development, fare structure, farebox recovery, fare evasion, cleanliness, safety, and any other relevant info that can/should be applied here. In my opinion, that’s a far better use of tax dollars, called investment and research, than wasting them on self-serving things like renaming stations after Metro Board politicians that does absolutely nothing to help transit. Besides, The Source writers deserve a vacation/business trip. It must be stressful and depressing to write about all the problems that Metro has everyday. They need to get out of the office cubicle more and see the rest of the world. If the aim of The Source is to promote mass transit, it has to be convincing enough to show what mass transit is really capable of. What better way to do that than reporting real life accounts through reporters’ own eyes what other cities around the world have done to get transit right? Furthermore, in this day and age you probably don’t even need money to do vacation/business trips. Many trips nowadays can be done simply with frequent flyer miles and hotel points. FWIW, all of us take vacations; I certainly do. And some of those who write for the Source even write about the transit they encounter while on vacation. Most recently, Joe Lemon visited the Twin Cities and Anna Chen went to Seattle and back on the train. Here are a few other Transit Tourist posts. As for Metro employees visiting other transit systems, I know some do — often on their own vacations, occasionally at conferences. Unfortunately, that’s pretty much the direction LA is heading as population continues to rise with no more land left to develop and traffic jams keeps getting worse. We’re already the most populous and most densely populated county in the nation at 10 million residents within 4700 square miles. And population isn’t getting lower, it’s going to keep increasing. There is no one in the US anymore that resembles LA. Not even New York, Chicago or San Francisco has 10 million people living in one single county, a population that’s bigger than the entire State of Georgia all within 4700 square miles of limited and developed land space. Convincing all 10 million residents in LA County to start taking transit instead of the car is going to be a daunting task, as well as providing the necessary infrastructure to do so. For example, having a call center based phone agent to deal with TAP related issues that’s not available 24/7 is not going to cut it. You just can’t handle 10 million residents with their TAP concerns to rely on CSRs over the phone. It has to be web based, where everyone has the ability to do everything online or through their smartphones. I know Garcetti is working on it, but it’s not a high priority issue (haven’t seen much The Source articles written on it yet). But when Metro has to deal with a potential of 10 million transit riders, it has to become high priority. Another example is when you have 10 million potential transit riders, you’re not realistically able to check everyone’s fares using LASD deputies. Officers are only human, they cannot be supermen and wonderwomen. They cannot be everywhere all the time, and budget is limited. Many things will have to be upgraded and automated. That means more automated fare gates, staffed stations and more capital investments to do so. What LA has to deal with in the future, we can’t do it by copying other US cities. We need to start looking outside the US for ideas and tried-and-true methods. If it’s going to take tax dollars to send people abroad, I’m all for it. I say that’s a far better use of tax dollars than constantly wasting tax dollars to try to reinvent the wheel. Besides, LA is bidding for the 2024 Olympics. Tokyo won the 2020 Olympic bid. Now would be a good time to go look what Tokyo does to their city planning and how they run mass transit, where they manage to run an efficient transit system that moves tens of millions of riders every single day, without hiccups. Right across the Pacific, less than 10 hours on an airplane, exists a city that is frequently cited as having the best transit systems in the world. To not learn from them is a taxpayer waste all in itself. The L.A. metro area is denser over a bigger land area than other metro areas — in other words, we live in a huge sprawling area with a lot of people. But our region is still nowhere nearly as densely populated as a place such as Manhattan. That said, we do live in a region that is substantially developed much of the way from Ventura to Riverside and much of the way from Lancaster to San Clemente. As far as developable land goes, we have tons of it. Much of it is covered in parking lots or perhaps older one- or two-story buildings, retail and otherwise. I would actually argue that much of downtown Los Angeles — a sprawling area itself — is very undeveloped. Can you say that going forward 50 years from now? In sixty years, our population grew by 250%. If LA County were it’s own state, it would be the 8th most populous state in the nation, right behind Ohio and just above Georgia. Fifteen, even twenty million residents living in LA County by 2040 is our realistic future. And sad to say, the pace of development isn’t happening quickly enough. Surely you must be realistic to see that you’re not going to see parking lots converted to affordable high rise condos overnight. There many issues with regards to outdated zoning laws, bureaucratic red tape and NIMBYism that prevents any of these things to happen quickly. I’m sure you are aware of that working for Metro. I’m not going to predict the future (can’t even if I wanted to!) but it’s worth pointing out that our county’s big growth spurts occurred mostly in the middle of the 20th Century and have since slowed down (although growth has certainly not stopped!). See the chart here: http://en.wikipedia.org/wiki/Los_Angeles_County,_California. I personally don’t believe our problem is population density. Our region doesn’t feel densely populated to me. It does feel sprawling and has too large of a footprint to me, without enough transportation options other than driving, in my opinion. And I don’t believe that we’re lacking space to accommodate the existing population and population growth. I think the space is there, either being used poorly in parking lots or lots that are very undeveloped. I don’t even think the region needs that many high-rises; just needs to do a better job with what it already has. 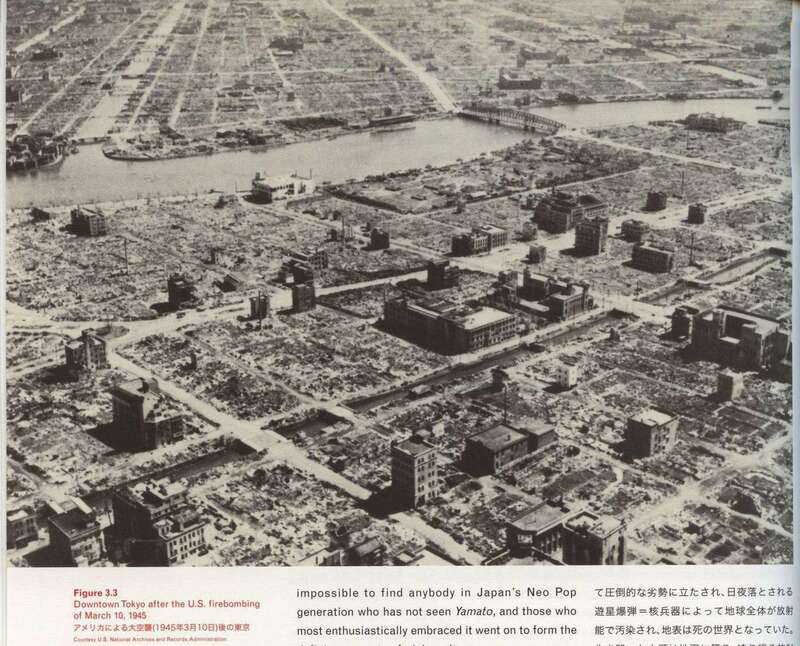 In 67 years, Tokyo was able to rebuild itself from ashes to a world class megacity with the best mass transit system in the world. I think there’s A LOT that we can learn from them. More than half the area of L.A. County is very sparsely populated mountains and deserts. It is the most populous county in the nation by a wide margin, but it’s density (10 million people / 4000 sq mi = 2500 person per sq mile) is nowhere near that of the City and County of San Francisco (800,000 people / 47 sq mi = 17,000 person per sq mile). And of course New York is denser: the least dense county in New York City, Richmond (the borough of Staten Island), is substantially denser than L.A. County, at 8000 person per sq mile; each of the other 4 boroughs/counties is substantially denser than San Francisco. These three cities have higher densities that the City of San Francisco. Add up all the mini cities in LA County on that wikipedia page and you have a total of 1.8 million residents all living in densities of over 10,000 people per square mile. If the population of LA County is 10 million and 1.8 million of them live in cities with over 10,000 people per square mile, that’s over 18% of LA County residents living in high density areas. 1.8 million people, that 1 million more than the entire population of San Francisco. Welcome to Los Angeles, indeed. Good point. A small-ish part of our region is densely populated compared to other metro areas or large cities. Most of our region is not as densely populated, although we certainly have a lot of people spread out over a tremendous amount of space. Maywood, btw, covers 1.18 square miles. And it’s also statistically likely that those who are the most transit dependent are the residents who live in those high density areas in Los Angeles. The residents of Maywood are least likely to own or afford a car, are highly likely to depend on Metro compared to say, Lancaster or Palmdale residents. I discovered any kink with the turnstiles. Today, I tapped my card at the North Hollywood Station. One son-of-a-gun ran into the turnstile in which I was about to enter. Of course, the exiting passenger was quicker than me even though I tapped my card before he ran through toward me. You guys should NEVER allow an existing passenger to go through the same turnstile in which an entering passenger just tapped a card. As the result, I was stranded at the station because I cannot re-tap my card at the North Hollywood Station again. People could get injured by another existing passenger. This type of situation could be happening a lot at the Union Station during the evening rush hour because I lot of people entering and existing the same turnstile area at the same time. Looking only at daily commuters underestimates the number of transit users. I was a daily bus commuter for only a short period of less than a year, but I relied on transit for mobility for many years when my daily transport was on foot or by bicycle (and I didn’t own a car). Today I commute by car because transit is very inconvenient between my home and work (I choose to live where I do so that my wife can walk to her work), but I still use transit whenever it is convenient. So I support transit with my taxes and at the ballot box, even though today I am just an occasional user. Good point about daily commuters. That said, I’m curious as to why the number in L.A. County has been hovering around seven percent for quite some time now. Yes, the raw number using transit has gone up since 1980 but I really want to know what it would take to get that number up from seven percent. Have you considered that folks maybe dissuaded to use transit and rather, have moved to something cheaper (free) like a bicycle? As I mentioned before, no one is going to use Metro to go buy milk and groceries at their local supermarket when it costs $3.00 (previous fare of $1.50 per ride) or $3.50 today ($1.75 each way because roundtrips cannot be used). And no one is willing to pay $100 a month for a monthly pass (comes to $1200 a year) when one can buy a bicycle and get around free instead. There are those who stated that going on a moped or a scooter is also cheaper than riding the bus at shorter distances due to their fuel efficiency and low cost of ownership (maintenance and insurance costs). Not everyone in this metropolis has a need to travel 20 miles of suburb-to-DTLA commute everyday. There are just as many people here who are short commuters who live in apartments and see no benefit of going Metro for short distances. You can’t convince them to go Metro when economically, it just doesn’t make sense to ride them. I like bikes and scooters a lot — and it would be great if people used them more (although some scooters have air quality issues). But I don’t see much evidence that people are moving from transit to either in significant numbers. If you compare the Census numbers, the 2013 report shows that 1.9 percent of commuters got to work “by other means” (the category that includes cycling) compared to 2.1 percent in the 2008-12 numbers. That actually surprises me, as I sense that there are more cyclists overall on the road these days. Again, I think the number overall is still very small compared to those driving and those on transit. I don’t expect Metro to be a great option for every one or for every trip, nor do I think that’s the agency’s goal. If people can bike or walk to do their errands, that’s awesome and a sign that cities in our area are doing something right as walking and biking should be part of the transportation portfolio. Faster, more convenient service with a TAP system that was intelligent and user-friendly would be a start. “UTA testing distance-based fares around BYU. The Utah Transit Authority has talked for years about switching to a fare system based on distance traveled — and now is experimenting with it along 3 bus routes close to Brigham Young University. “Until now, we have been charging the very same fare regardless of whether you went two blocks or 20 miles,” stated Hugh Johnson, UTA regional general manager in Utah County. Now, UTA is providing people a opportunity to acquire a specific electronic FAREPAY card that will enable them to spend 50 cents a mile up to a maximum of $2.50 (the existing full money fare). Use is permitted on routes 830, 832 and 835 near BYU. “Most BYU students reside inside a mile of campus,” Johnson said. He adds it may perhaps not make financial sense for them to spend full fare to make that trip or even to get student UTA passes, but they could be attracted by reduce distance-primarily based fares. “So BYU is the best location to test short-trip fares,” he said. Do something innovative like this and I’ll gladly ride Metro. 50 cents a mile is very fair than paying $1.75 whether I ride the bus 2 miles or 20 miles. The people who still commute into Los Angeles by automobile benefit because the Blue Line trains are packed to standing room only with people who aren’t on the roads and freeways, thereby reducing congestion. People like me who live and work elsewhere, but frequently visit museums and performing arts venues in Los Angeles benefit because we don’t have to drive any further than the most convenient park-and-ride lot. And Ivan, I’m no expert, and haven’t been in your position (although I’ve been in a similar position one rainy night in Boston, when I was stuck at the Symphony Hall T station because the faregates wouldn’t read my slightly-soggy CharlieTicket, and once in Chicago where I used the wrong entrance, ended up on the wrong platform, then found myself locked out of the right platform until the attendant let me in), but wouldn’t a quick call on the gate assistance intercom have gotten you in? CORRECTION: Dawn of the Planet of the Apes was not the best movie this year, it was Guardians of the Galaxy! I’m absolutely sure that we all want good public transit here in the Southland; if funding is such a problem, why not DEMAND that the very next time the automotive industry needs a bailout (of ANY amount), they (along with the energy companies) pay the FULL costs of the transit system, including construction as well as operation and maintanance. After all, it was precisely these organizations that were directly responsible for the destruction and elimination of our clean, safe rail systems in order to sell their dangerous and unhealthful products which continue to wreak havoc on humanity to this day. It wasn’t “your” rail system they bought out. The mass transit systems across America were built by private corporations, owned by entrepreneurs like Henry Huntington. No tax dollars were used to build them, it was run purely for profit as a private venture. Then later on, those were bought out by National City Lines, a front company owned by the auto industry. They killed it off so as to entice people to own automobiles instead. What they did was a private corporation taking over another private corporation. Mass transit, in its original form, was never a publicly owned government agency. It was a private corporation run for profit. And by far, most other countries outside the US, still operate that way – not supported by their taxpayers, but owned by private corporations, fully listed on their stock exchanges for investors to buy, that is run for profit.